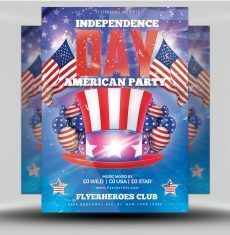 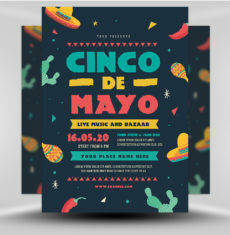 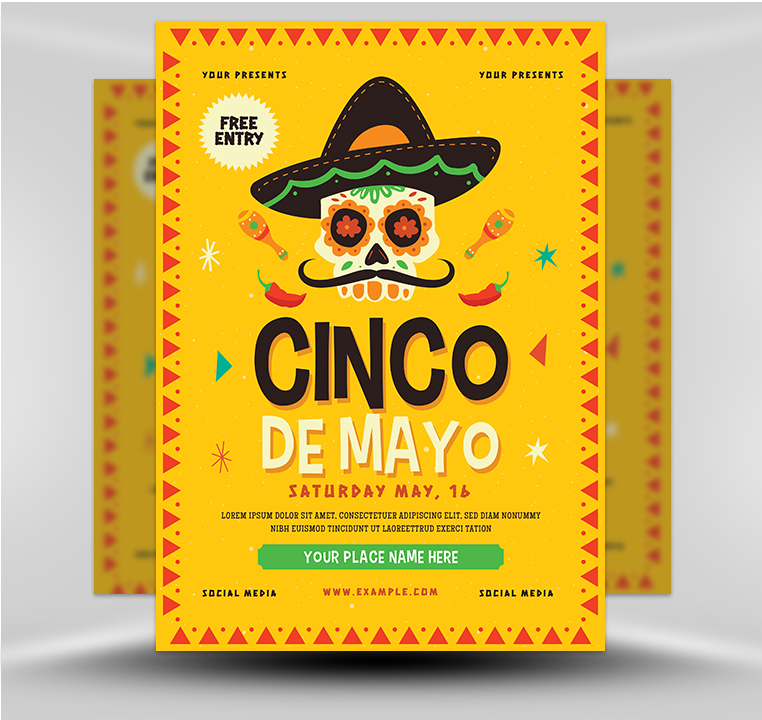 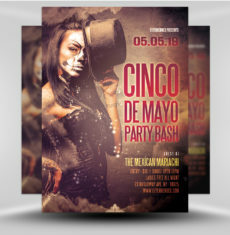 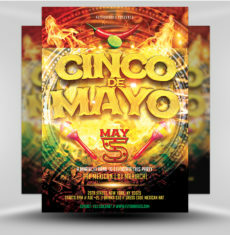 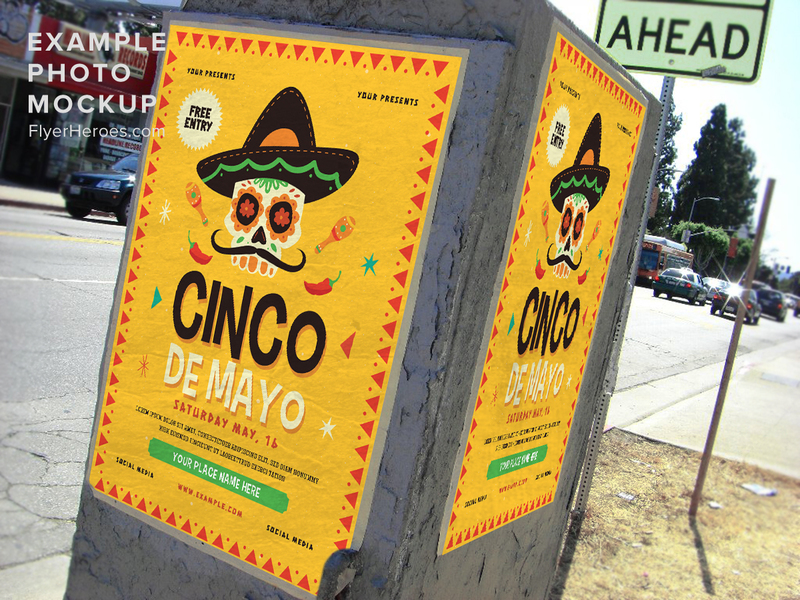 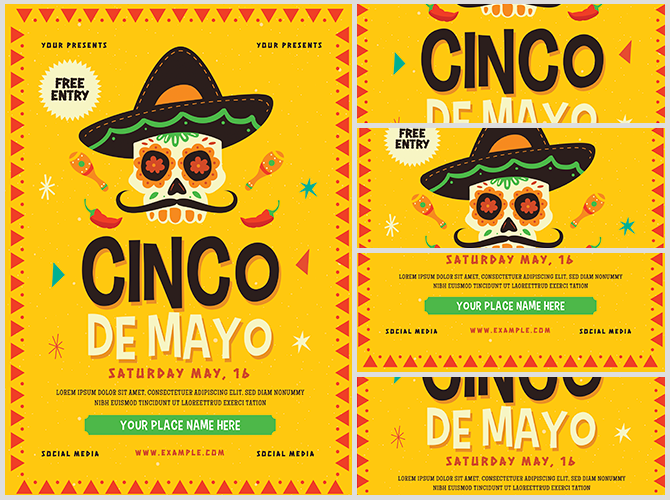 Draw a crowd to your event with this exciting Cinco De Mayo flyer! 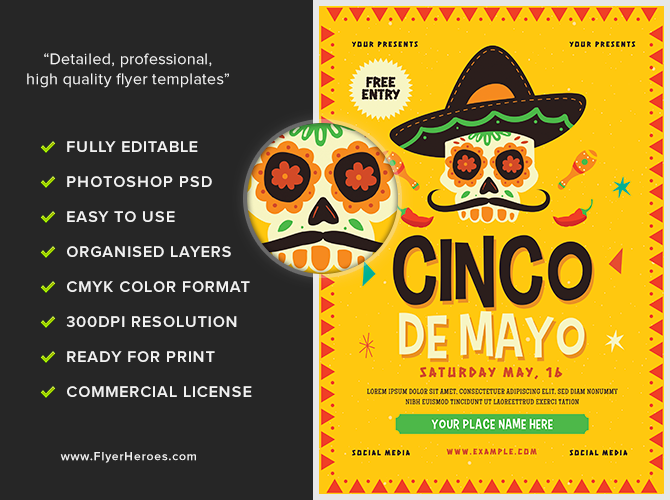 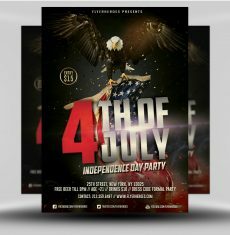 This flyer features a color scheme inspired by the Mexican flag – green, white, and gold, accented by dark brown. 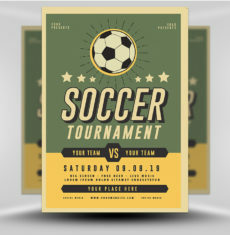 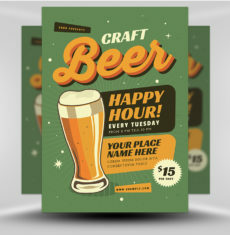 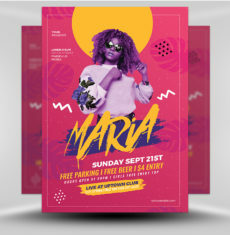 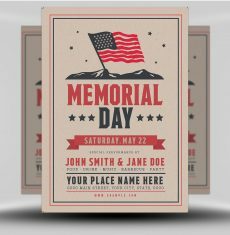 The flyer text and design appears on a gold background and is surrounded by a red border. 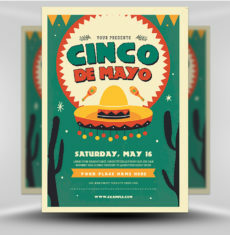 The graphic element in the center is a stylized skull, wearing a large hat and sporting a mustache, for a fun take on traditional imagery. 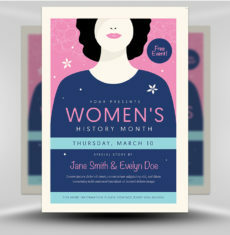 The center event text uses a fun, irregular font, highlighted by a sharp drop shadow. 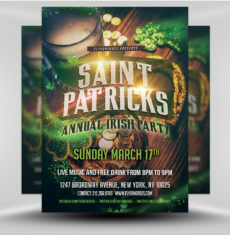 The venue name is highlighted by a bright green background, calling attention to the location of your event. 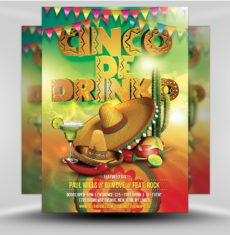 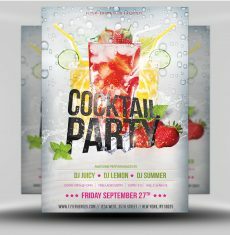 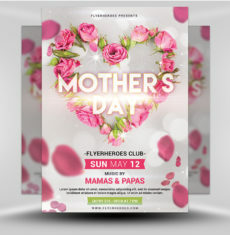 This flyer would be ideal for a Cinco De Mayo happy hour, party, or other big event!